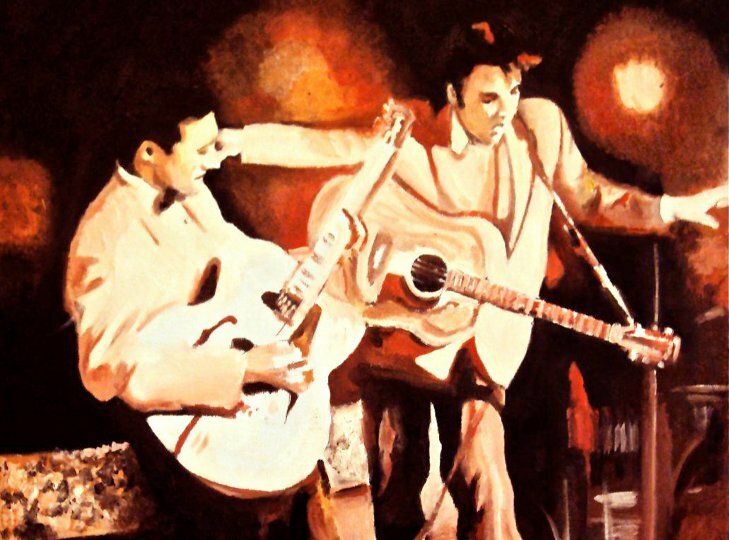 A print entitled Elvis and Scotty 56 by pop artist James Wilkinson (1965- ). 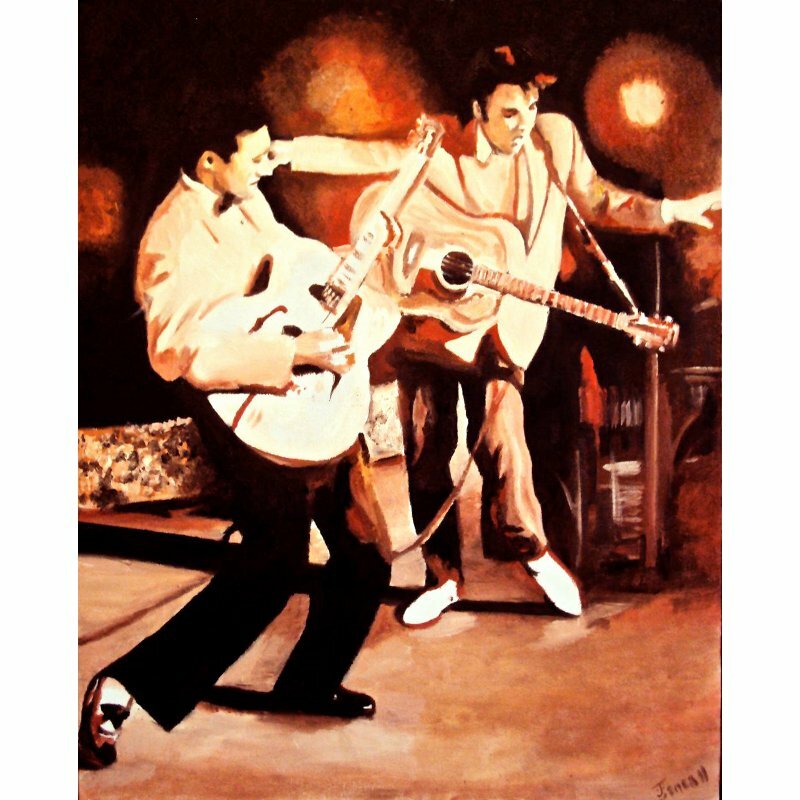 One of a limited edition of only ten, this print shows Elvis Presley (1935-1977) and his backing guitarist Scotty Moore (1931- ) playing guitar and dancing on stage. Part of a trilogy of Elvis and Scotty paintings by the artist. The print, number 10/10, is printed on museum quality paper using archival inks. It is mounted with an original Fernwood Records payroll account cheque signed by Scotty Moore dated October 2 1959. Moore became the Vice President of Fernwood Records in Memphis after Elvis joined the army. James Wilkinson is currently the Artist in Residence at Hylands House in Essex, UK. He has been painting portraits for 30 years. Accompanied by a Certificate of Authenticity from Graceland.